One of the most important Sustainable Development Goals (SDGs) among the 17 that got adopted by all UN member countries unanimously in September of 2015 is “Quality Education”. In fact, when the citizens of Developing Countries are polled to express the SDG that most matters to them and their families, “Goal #4: Quality Education” consistently comes up at the top. It all starts with education! In my view, the second most important SDG is “Goal #17: Partnerships for the Goals”. Nobody can single handedly implement the goals on their own. It all requires alliances, partnerships and working with others to find the best way to implement the SDGs in the short time frame that we have until it is too late for our world. That is why, I decided to commit part of my time and brain power to Paragon Partnerships. Paragon is an organization spearheaded by our CMI EVP Stan Sthanunathan, with the sole purpose of helping UN, Governments, Academia and NGOs with the measurement of progress and implementation of the Sustainable Development Goals. It is a global network of market research companies and their clients coming together to provide pro-bono market research assistance in the shape of consultancy, training, ad-hoc researches, or adding questions to the already running questionnaires. And I am privileged to be running it globally, trying to bring demand and supply together to help with SDGs. In late November, I found the opportunity to volunteer at an activity that brings these 2 SDGs together. 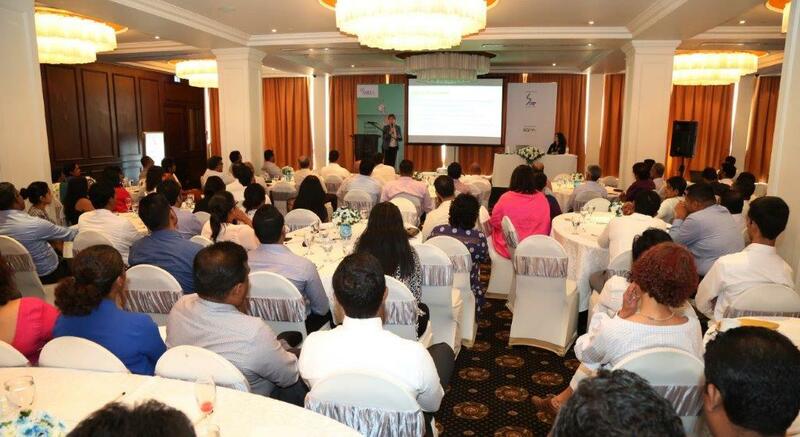 In collaboration with ESOMAR Foundation, I co-facilitated a workshop to train the researchers of Market Research Society of Sri Lanka (MRSS), representing Paragon and Unilever. The main purpose was to provide education to researchers in Sri Lanka that do not have the local resources or experience to deliver training themselves, with the ultimate objective of having more non-profit sector/NGOs come to them with market research requests; and hence help with SDGs. The whole experience was one to remember and the 20-hour flight from New York City to Colombo was well worth it! The facility where the training was held was right by the Indian Ocean, with unforgettable sunset views. And, I was impressed to see the level of patriotism and the loyalty that the Sri Lankans have towards their country. The 2-day training workshop kicked off with everyone singing the Sri Lankan national anthem, followed by the most memorable moment of oil lamp lighting ceremony. The Exco of the MRSS, the ESOMAR Foundation representative (Phyllis Macfarlane) and I took turns lighting a tall oil lamp, which was brought to the venue for this purpose. According to Sri Lankan tradition, it signifies “joining and becoming one”, which was quite appropriate to the overall objective. 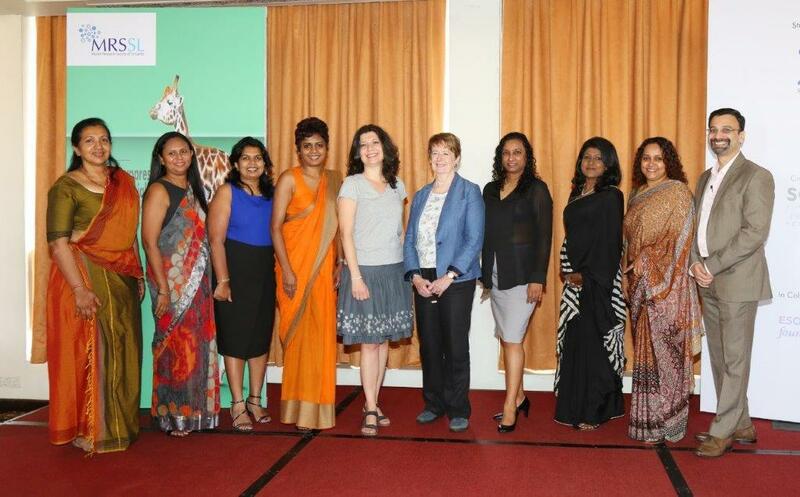 We trained, in total, around 100 researchers during the course of the 2 days, and they were all in their best outfits throughout, with the female Exco members in their beautiful and colorful saris. The hospitality and willingness to help of everyone I met in Sri Lanka was notable. The delegates were coming from different market research agencies, all with varying degrees of experience. And the most heartening thing was to see the enthusiasm and the attention they showed throughout the 2 days. The agenda for the training was split by Qualitative vs. Quantitative research, each through the lens of how to ensure quality market research, telling stories with data, and getting insights that are actionable. There was also focus on the future of market research, where we touched upon topics like online research, using Social Media and Big Data, as well as using Video for impact on decision making, and Behavioral Economics. The feedback we got was that their experience was truly inspiring and eye opening. The researchers were enthused to try out new things and embrace the changes that are taking place. 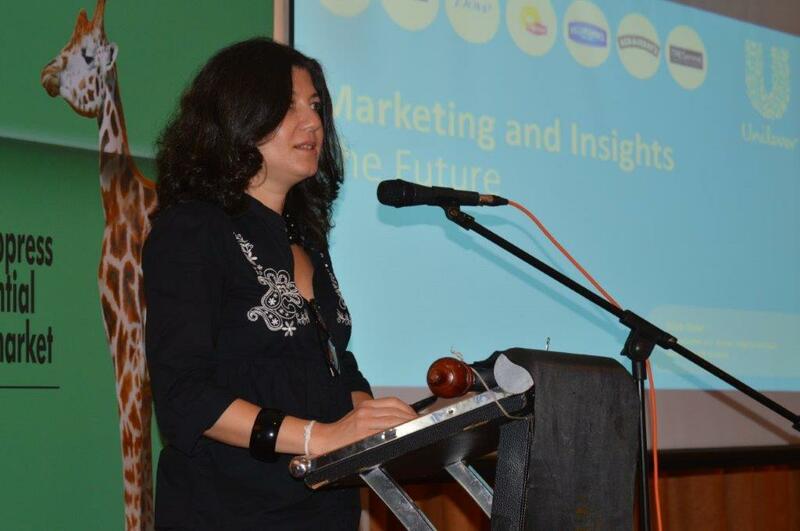 And I feel we have made them more aware of the shifts that are occurring in the global market research space. And I was pleasantly surprised in the last day of the workshop when the MRSSS Exco showed us the newspaper article on Sri Lanka Daily Financial Times that featured us and the whole event. That was definitely an assurance that our contributions were truly appreciated. I also had the chance to meet Sajeevani Hewage, the CMI Manager in Unilever Sri Lanka, who helped us with her contributions in terms of learnings and case studies during this event. I feel so lucky to be part of this experience! While I helped improve the skill level of market researchers in a developing country, I also contributed in increasing their likelihood to provide help to NGOs, and charities. These NGOs and charities are all working towards goals that are very much aligned with SDGs, i.e. women`s wellbeing, etc. And therefore, through this activity I feel I ultimately helped with the SDGs. The additional bonus we got was also the fact that by upskilling these researchers, we were also making sure they provide higher quality market research to Unilever as their client! All-in-all it was a great experience and I am so grateful that my organization and my leadership management supported me in this journey! Our thanks go to The Sri Lankan Market Research Association, Himalee Madurasinghe, ESOMAR Representative and CEO Kantar Sri Lanka; Roshani Fernando, COO at Quantum Consumer Solutions for making this new ESOMAR Foundation training session a success! The Christmas Charity Draw is over! We have the winners!